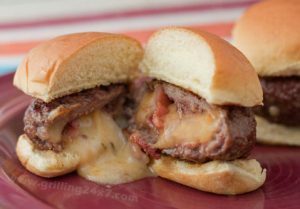 So what’s the difference between a grilled ribeye steak sub and a cheesesteak sub? 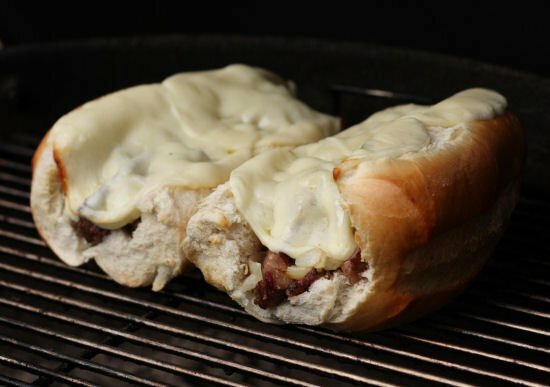 For my purposes I consider a cheesesteak sub to contain finely sliced, almost shredded, steak that has been cooked on a griddle with sauteed onions and cheese melted (or poured) on top, all on a Philly Amoroso roll. 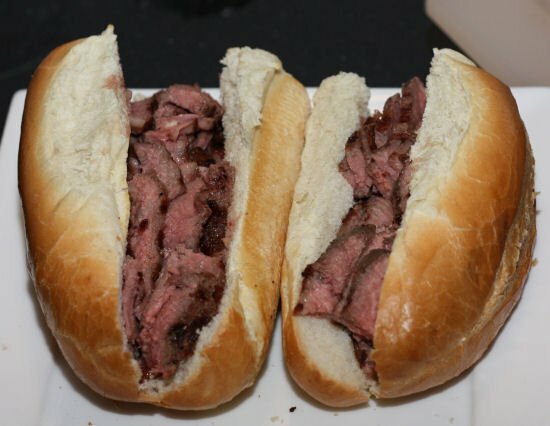 The steak sub however, is more reminiscent of eating a grilled steak, but on a sub roll. I was looking through my freezer and I found two gorgeous ribeye steaks. 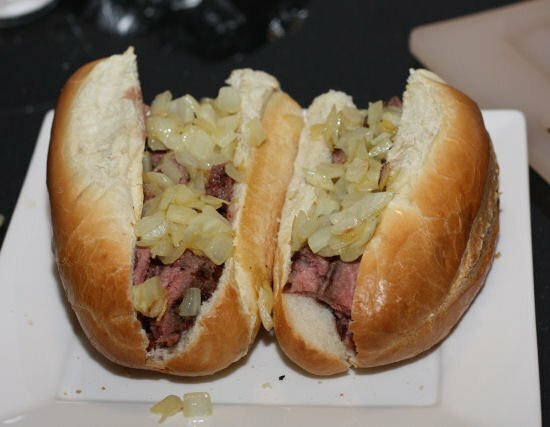 I decided to make ribeye steak subs with sauteed onions and provolone melted on top. 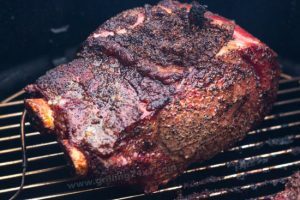 I started by tossing two ribeye steaks over direct high heat. 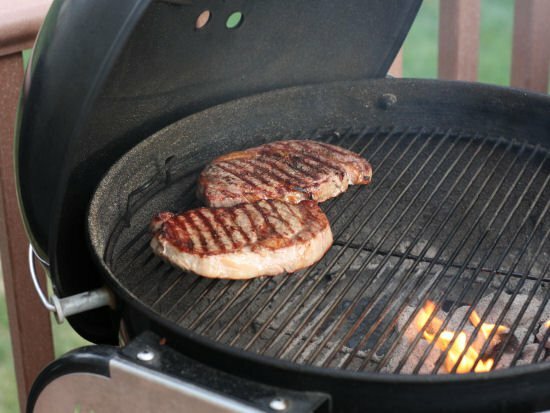 Since these were smaller steaks (a little less than an inch thick) I grilled them 3 minutes per side over direct heat. I then took them off the grill. 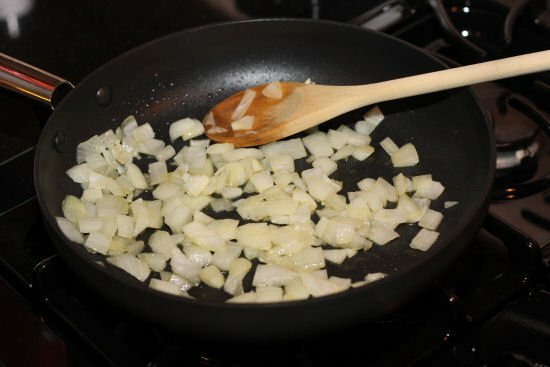 Before the steaks hit the grill I took one jumbo sweet onion, finely diced it and sauteed it in some oil. 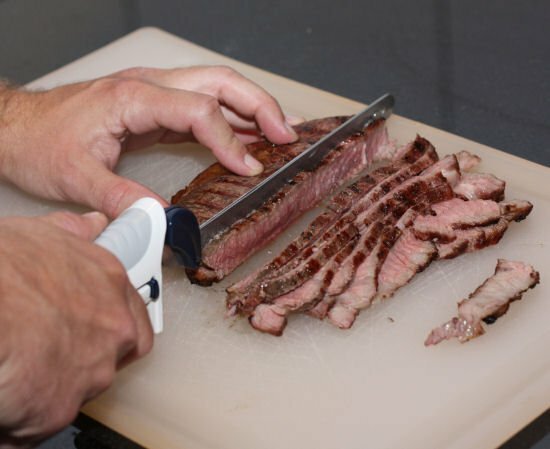 After the steaks rested for a little bit I got out my new electric knife and tried to cut the steak as thin as possible. 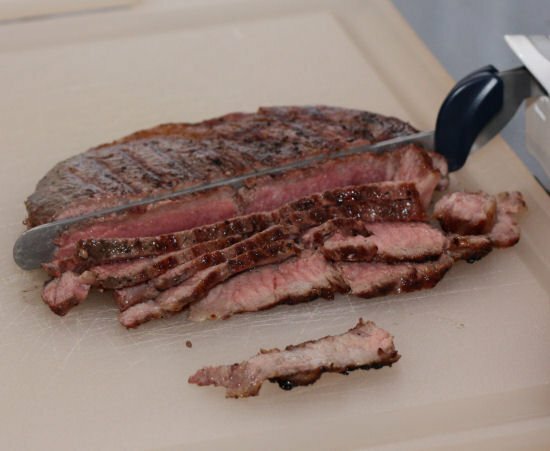 I felt a little guilty cutting up a gorgeous ribeye steak like this, but it sure was tasty snacking on it while I was cutting! I found some pretty decent sub rolls at the local grocery store and I piled the steak in the sub. 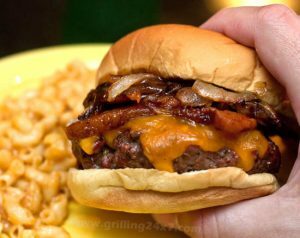 Next I put my sauteed onions on top. 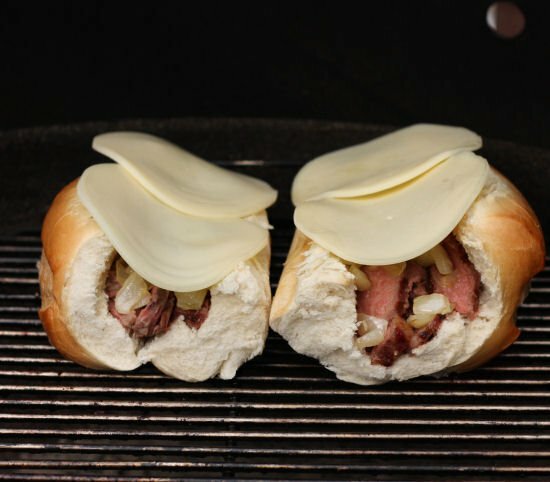 Lastly, I placed two slices of provolone cheese on each sub and placed each sub on the grill on indirect heat. I closed the lid to let the cheese melt. This made a really nice steak sub. The ribeye steak was so tender that each bite pretty much fell apart in your mouth. 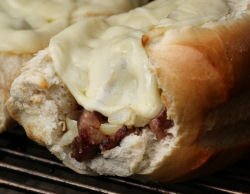 The onions provided some great flavor and the gooey provolone cheese really topped the sub nicely. I’m a little disappointed in myself that I didn’t take a picture of the sub cut in half to show it off a little better. I was so hungry I went right for it. But I think you get the picture! This was great!